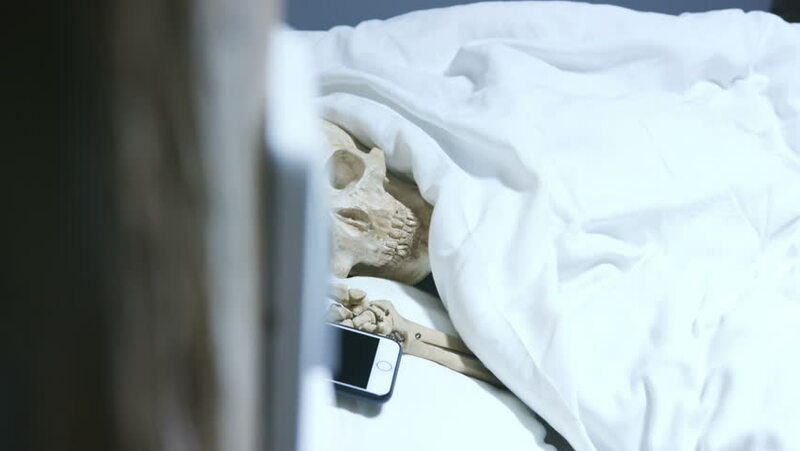 Medical skeleton in bed with white smartphone. Nightmare about frequent use of cellphone. Lifestyle. Danger. Terrible death. hd00:06Bride in lace dress holding beautiful white wedding flowers bouquet.